Both as part of Breeze Summer Venue and a detached venue, great for dining with flavors of the Asian cuisine and fine drinks, Breeze Sushi Room is a restaurant that combines a nice menu, with amazing atmosphere. Cozy sofas and armchairs, a modern bar, as well as high and low tables are available for any occasion, be it just drinks, just dinner, or both. After all, beyond its wide range of sushi, the menu also offers a list of tasty cocktails and quality drinks. So, it is a quality option for going out at the Limassol tourist area in the summer. The restaurant is open from 8 pm onwards, on Wednesday, Friday, Saturday and Sunday. Breeze Group Hosting a private/ corporate event? 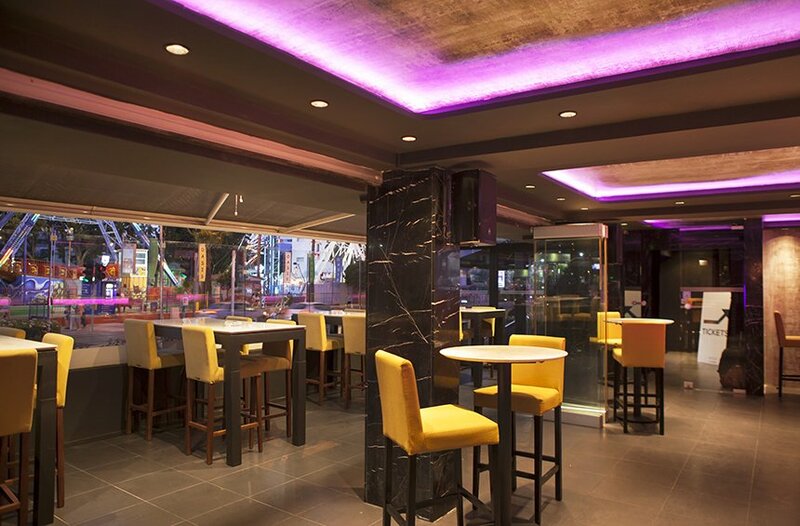 Breeze Sushi Room is just what you're looking for! Just send us an email and leave the rest to us! Breeze Sushi Room shared a post. Rule #4: Eat your sushi in one bite! Breeze Sushi Room's doors are open Wednesday to Saturday to share with you the finest selection of sushi and warm dishes! Known as "sakura" in Japanese, these pale blooms are a symbol of more than just spring — they stand for renewal and hope. A walkway in Limassol that is straight out of a fairy tale!